Explanation: A gorgeous spiral galaxy some 100 million light-years distant, NGC 1309 lies on the banks of the constellation Eridanus. 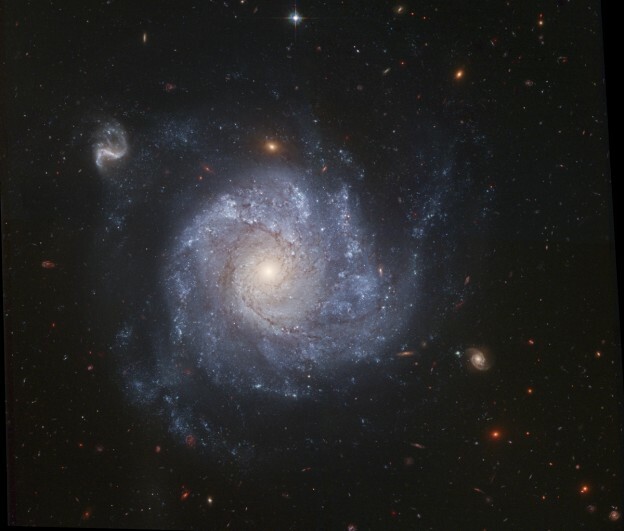 NGC 1309 spans about 30,000 light-years, one third the size of our larger Milky Way galaxy. Bluish clusters of young stars and dust lanes are seen to trace out NGC 1309's spiral arms as they wind around an older yellowish star population at its core. 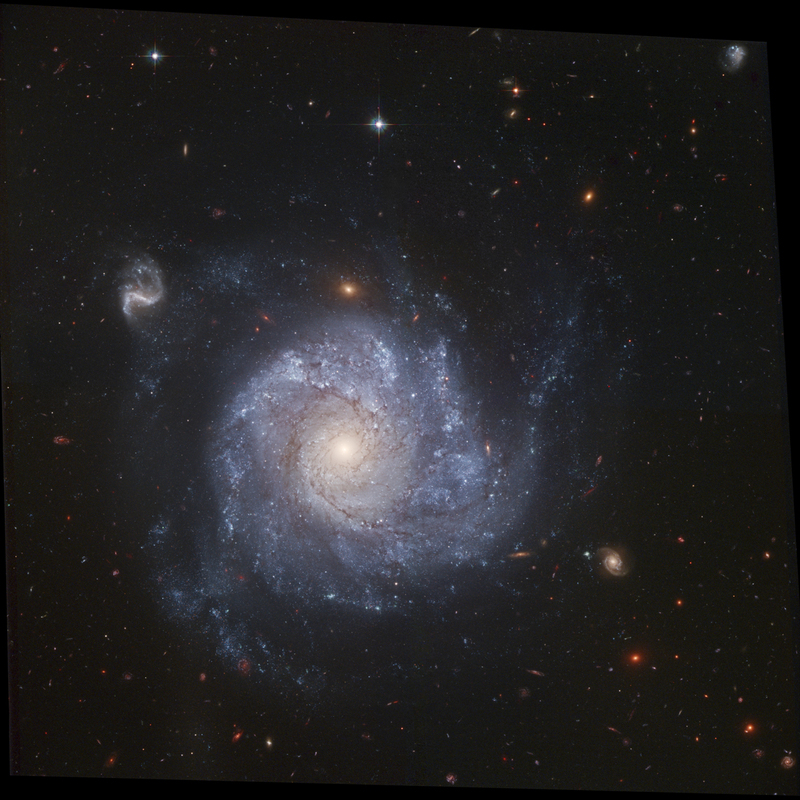 Not just another pretty face-on spiral galaxy, observations of NGC 1309's recent supernova and cepheid stars contribute to the calibration of the expansion of the Universe. Still, after you get over this beautiful galaxy's grand design, check out the array of more distant background galaxies also recorded in the sharp Hubble Space Telescope view.